Helicopter was flying from Santiago (Veraguas Province) to Panama Pacifico airport in the capital city, and was impacted by a flock of birds causing a loss of thrust in its tail rotor. Am Emergency landing was made at Punta Chame, which resulted in the helicopter being on its port side on the edge of the beach. Pilot named as Major Oriel Reyes, was returning after completing a humanitarian SAR mission with the Joint Task Force, including the National Civil Protection System (SINAPROC) and other SAR Aircraft Units. Helicopter registration was given in Panamanian Navy press release. While in cruise flight at 3000 MSL, a “loud bang” was heard with a secondary “loud rushing” noise. The pilot verified no flight control or system malfunction and initiated a precautionary landing to nearest suitable landing area. After landing, a post-flight inspection revealed a broken copilot chin bubble with bird remains. No occupant was seated in the co-pilot seat at time of incident. The crew was in the cabin area, attending to patient care. No injuries were sustained from the incident and no additional aircraft damage was noted. NOTE – report quotes operator as Metro Aviation, but this aircraft was re-registered to Air Methods in March 2017. Helicopter was hit by an object while flying and damage was sustained to the boom (picture). N914ET was on the return trip back to their base when they had a bird strike. They diverted to a local airport to do a precautionary landing and check for damages. No injuries were associated with this incident. There was no damage noted by the pilot or crew. The aircraft returned to base without further incident. Crashed on take off after unloading construction materials, ending on its starboard side. C-FBLW, a TRK Helicopters Aerospatiale AS350 BA helicopter, was operated under contract to SKEENA Heli-Ski from the Bear Creek Lodge, BC, about 82 nautical miles north west of Smithers, BC. The flight was returning to base camp in the late afternoon with a pilot and 6 passengers on board. As the pilot was maneuvering the helicopter close to the steepening terrain, the cyclic control was moved forward. The nose of the helicopter pitched down and the speed increased to Vne (+/-). The pilot then moved the cyclic back and left, however the helicopter rolled right and pitched up. The cyclic stick was difficult to move, and the helicopter collided with terrain on a steep snow covered slope. The main rotor blades cut a swath through the deep snowpack on the left side, and continued to turn until the pilot shut down the engine (Honeywell LTS 101-700D-2) and applied the rotor brake. All occupants appeared uninjured and expedited egress to the left side due to the steep, downhill slope on the right side. The helicopter was substantially damaged, but the ELT was not triggered to send out an emergency signal. The privately-registered Eurocopter EC-120B helicopter was on a local VFR flight from Toronto Billy Bishop/Toronto City Centre Airport, ON (CYTZ). The helicopter was being flown in circuits at Brampton Airport, ON (CNC3) when it experienced a loss of power. The helicopter crashed near the southern end of the airport property. Two (2) souls on board — no reported injuries. The helicopter was substantially damaged. Transportation Safety Board (TSB) advised. Helicopter was conducting fire control work with one crewperson on board. The fire control work included use of a Bambi Bucket to drop water on the fires, slung under the helicopter by a 100 ft long-line. The pilot elected to land the helicopter at Glenbrook helipad to refuel. 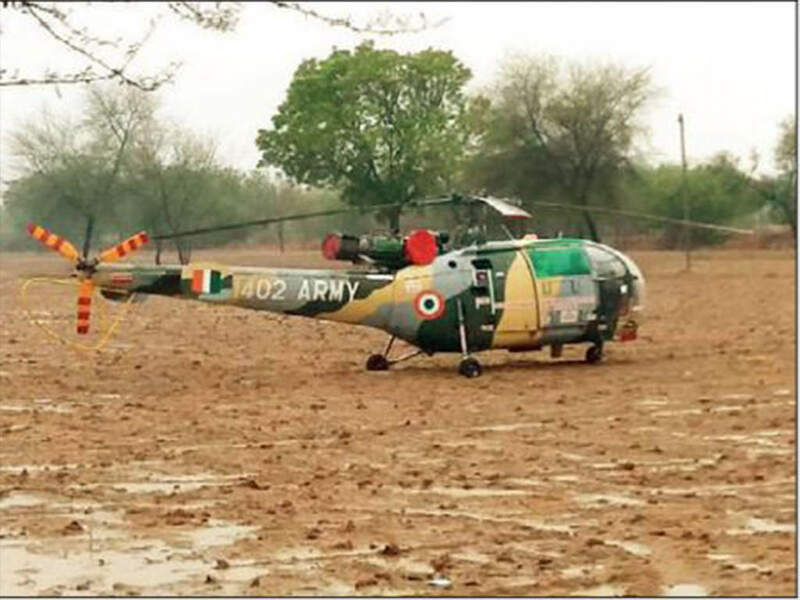 The helicopter landed with the bucket and line in front of the helicopter, and the fuel drum to the right of the helicopter. The pilot realised that the helicopter’s fuel cap was on the left side and therefore needed to turn the helicopter around to access the fuel drum. The crewperson exited, stood in front of the helicopter, and took hold of the long-line to ensure it remained clear during the turn. The pilot then lifted the helicopter to about 2 ft above ground level. The crewperson used hand signals to direct the pilot to conduct a right turn, walking to stay in front of the helicopter and remain in the pilot’s sight. After the helicopter had turned around, the crewperson gave the signal to lower the helicopter, which the pilot followed. As the helicopter lowered down, the tail rotor struck the bucket, which was on the ground behind the helicopter. The pilot detected the strike as a vibration through the pedals, and immediately moved the helicopter forward slightly, lowered the collective, and landed. The tail rotor was damaged; the pilot and crewperson were uninjured. Aircraft was taken off from Dimapur with 4 passengers onboard and just after 35 minutes of flight the helicopter had made a crash landing. Helicopter rear portion caught fire after landing and destroyed. The crew was conducting an approach to a landing zone inside of a public safety training center. During the approach, a towel was sucked up into the Fenestron tail rotor system resulting in substantial damage. The towel came out of an unsecured trailer next to the landing zone. The pilot reported he was conducting an approach in flat light conditions, visibility was decreasing, and during a turn, the right skid impacted terrain. The pilot reported the helicopter then came to rest on its side and he egressed from the cockpit. Substantial damage sustained to the helicopter. The purpose of the flight was to extract a work crew. Took off from a temporary helipad in Takahama Cho, Fukui Prefecture, Japan at 10:12 Japan Standard Time. During carrying loads externally, wooden frame, about 1.3 m by 0.5 m, was dropped unintentionally at an altitude about 170 m. The frame was found in a car park. No one was injured. The helicopter sustained no damage. Took off from a temporary helipad about 11:00 Japan Standard Time to carry liquid concrete in the externally slung bucket with a cargo hook. After unloaded the liquid concrete, the pilot mistakenly operated the cargo hook release switch and the empty bucket, the weight of which was about 210 kg, was dropped unintentionally at an altitude about 240 m AGL. No one was injured. The aircraft sustained no damage. The pilot was engaged in a private flight, and was accompanied by his wife. After activating the air-conditioning unit during their return flight to FAGC smoke started entering the cockpit/cabin area. The pilot, who had identified an open area below entered into auto-rotational flight in order to land as soon as possible. As they neared the ground he note a game fence in front of them. In order to avoid colliding with the fence he pulled back on the cyclic and allowed the tail stinger to impact hard with the ground, which caused the aft tail boom tail to twist to the left (looking from the aft position) and the tail rotor blades to make contact with the ground, with one of the blades separating from the tail rotor hub assembly. It was found that the air-conditioning drive belt had melted and smoke from the belt was sucked into the cockpit/cabin area. During an aerial transport, the crew wanted to land near the station of the Bannalp cableway to pick up a container deposited there. During the approach, the helicopter’s tail rotor came in contact with a cable of a small transport cableway. The pilot was able to land the helicopter. Two of Tignes ski patrol were seriously injured in the crash at 8.15am. 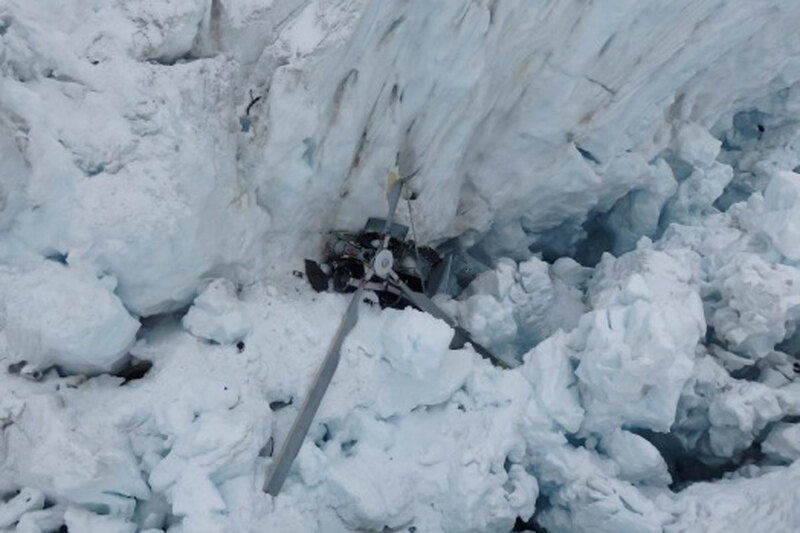 There were four trackers on board, in addition to the pilot and a mechanic, to be dropped to reactivate the remote avalanche triggering devices after maintenance period occurred this summer.